FSV Folks -- W E L C O M E ! FSVFolks is a social organization of past and present workers of the Fort St. Vrain Electric Generating Station located near Platteville, Colorado. Our mission is to chronicle and preserve the life, times and technology of the plant and its people. Portions of this website are Copyright 2000-19 by FSVFolks and/or Joe Pinner. The FSVFolks website is maintained by past and present workers of the Fort St. Vrain Generating Station who are solely responsible for it's content. 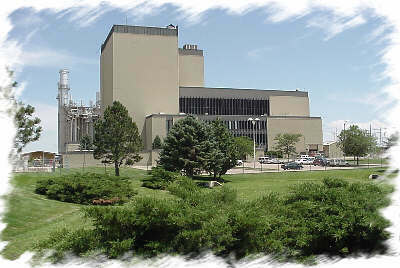 Xcel Energy owns and operates the power station. More information about Xcel Energy may be found on their website. If you ever worked at Fort St. Vrain, membership is free.